Do you need palm trees that can grow in all climates and with minimal application of fertilizer? Do you need them for landscaping or other purposes? What size or height of palm tree do you need? Whatever it is, you can trust A Quality Plant to meet your needs. 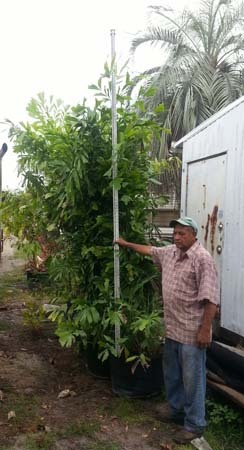 We nurse and sell wholesale palms at our nursery, which is located at Tampa Bay in Florida. We have one of the largest palm tree nurseries in Florida; ours is established on a large expanse of land covering about 200 acres. • We always ensure the thermometer reading in our nursery is within the normal range to attain optimum growth of the palms. • We ship the palms to your desired location by a tractor trailer and under a controlled condition similar to what obtains in the nursery. • We ensure the plants are adequately aerated and misted at all times. • We always discard broken or poorly developed seeds to ensure our clients get only top quality wholesale palms. • When shipping different varieties of palms together, we get them separated from one another by numbering them individually. • Our service days are from Mondays to Saturdays, 8:00 am to 5:00 pm. You can also get in touch with us by appointment on Sundays. • Our means of contact, like email, phone number, and billing address, are all available on our website. • Container Palms: Examples are Dypsis lutescens/Golden Cane Palm/Areca Palm, Foxtail Palm/ Wodyetia bifurcate, Bismarck Palm/ Bismarckia nobilis, etc. They are slow-growing palms and are drought-tolerant, enabling them to adapt to the limited quantity of moisture in the container. • Cycads: Examples are Dioon edule, Sago Palm/Cycas revoluta, etc. They have fossil history and have become endangered species today. Also, they feature woody and stout trunks. • Field Grown Palms: Examples are Windmill Palm, Washington Palm, Sylvester palm, Spindle Palm, etc. They are available at A Quality Plant in different sizes, and they are ready to be transplanted immediately they arrive at your field. • Specimen Palms: Examples are Phoenix sylvestris, Phoenix reclinata, Livistonia chinensis, Pineapple Palm, etc. They are the perfect palms for landscaping. We cover all the cities in the United States and beyond; we have now extended our services to several cities in Canada. The palms are delivered in the best conditions obtainable at all times. Never fail to link up with us today for your wholesale palms.